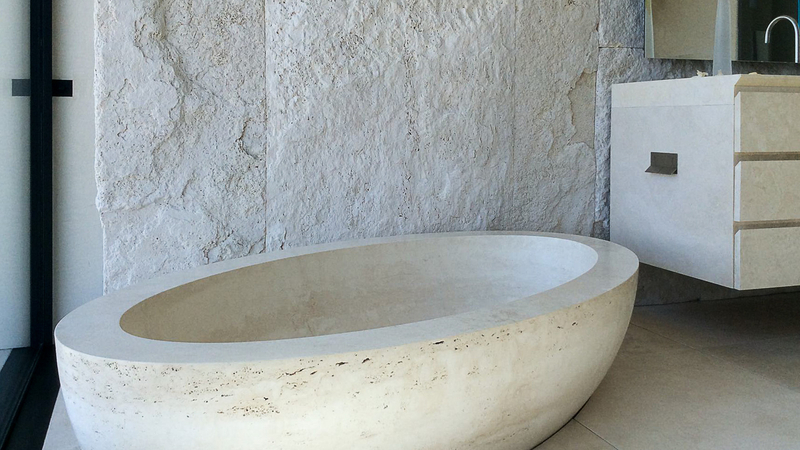 Make the time spent in your bathtub an unforgettable experience. 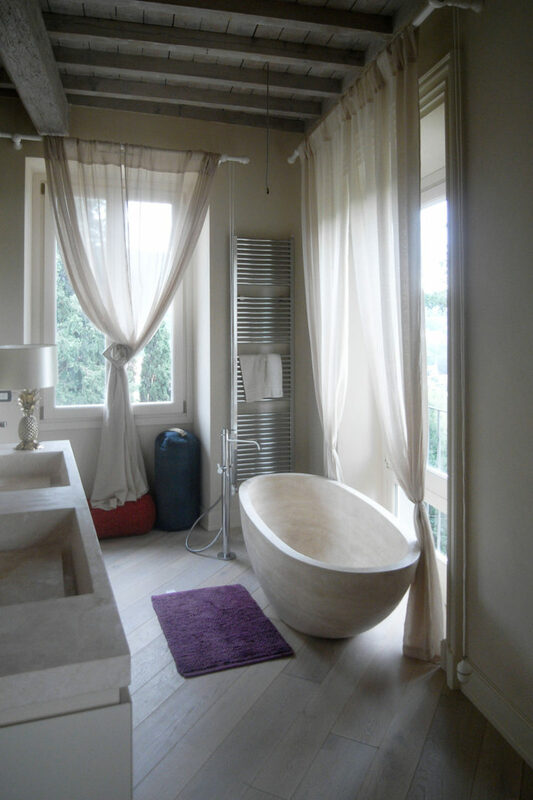 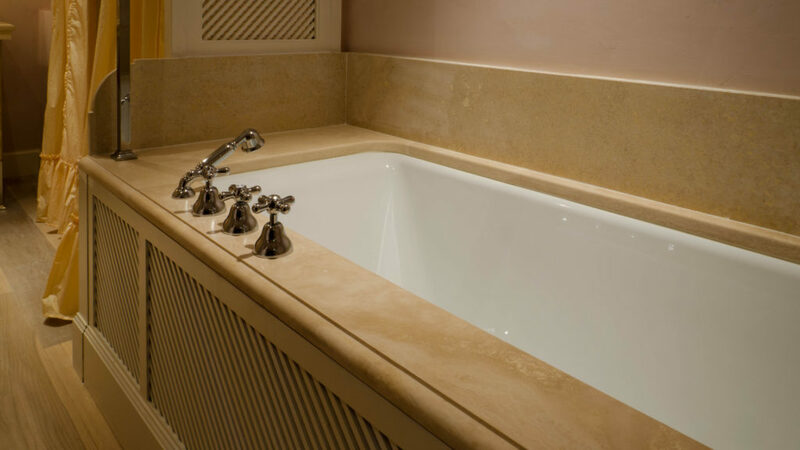 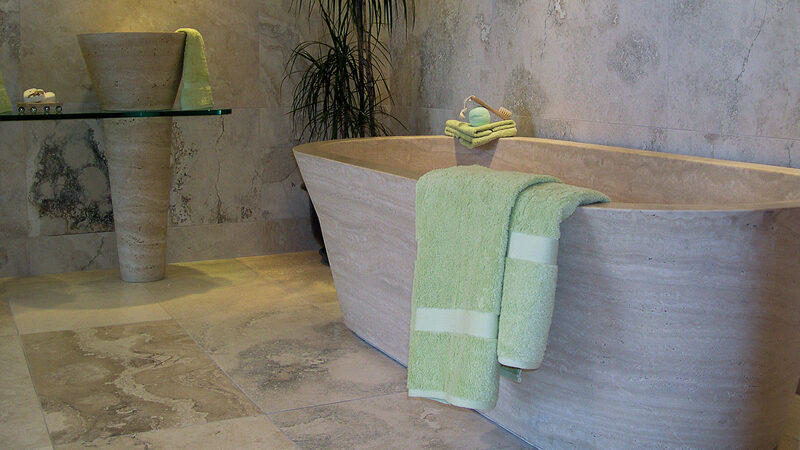 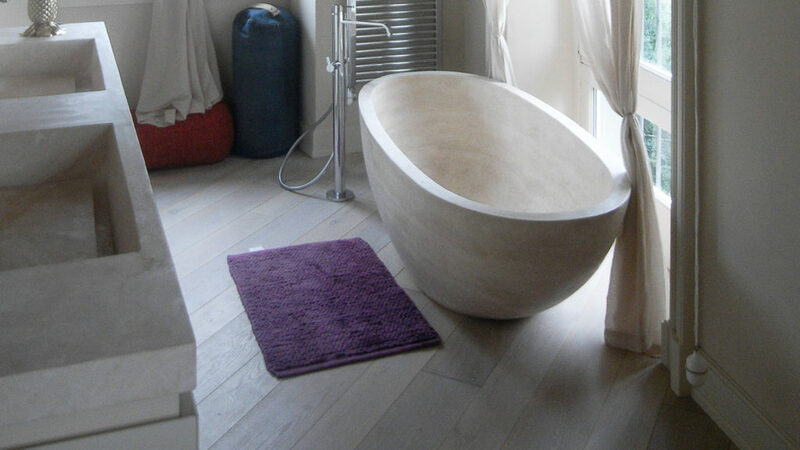 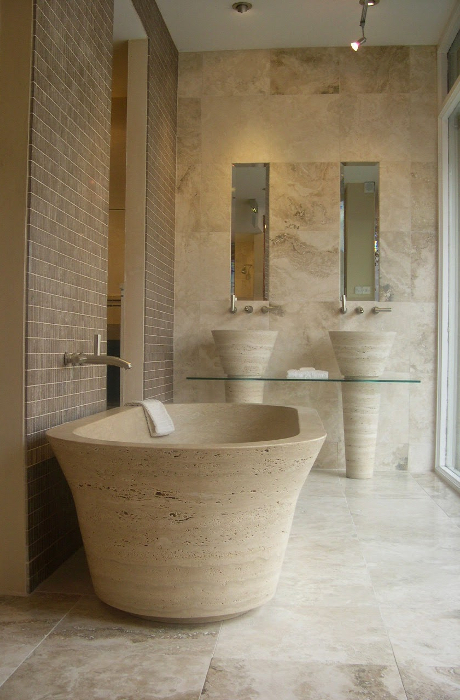 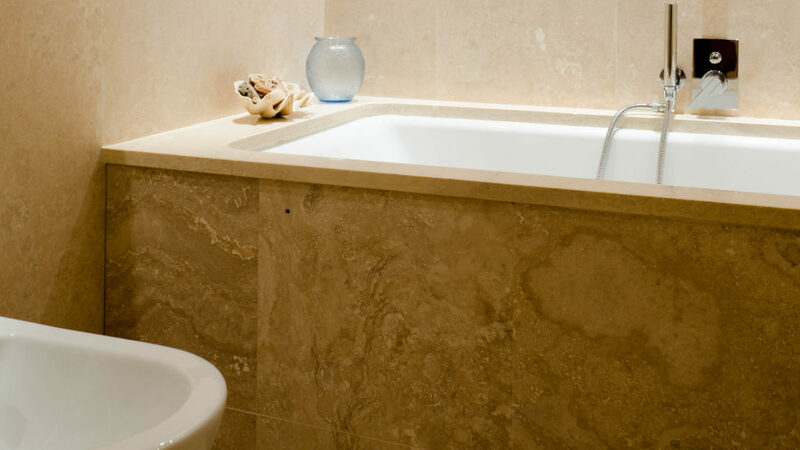 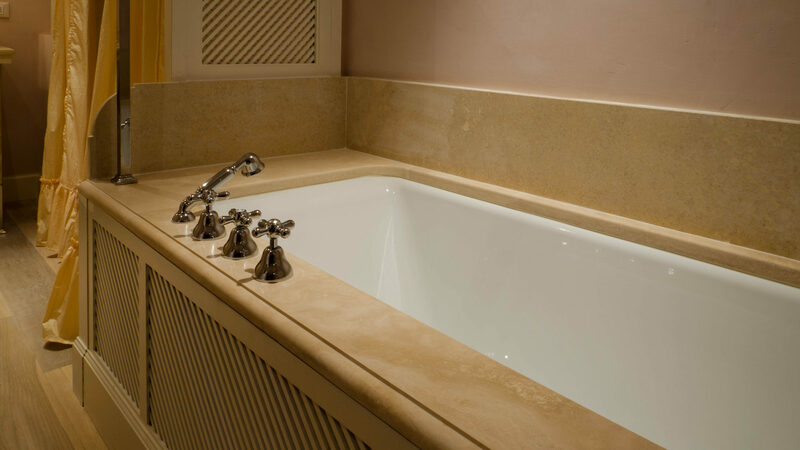 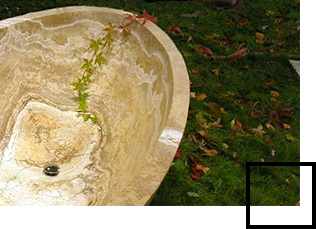 Styles of furnishings for the bathroom come and go, but bathtubs remain an element of sure charm and elegance, able to immediately provide a sense of warmth, naturalness and relaxation. 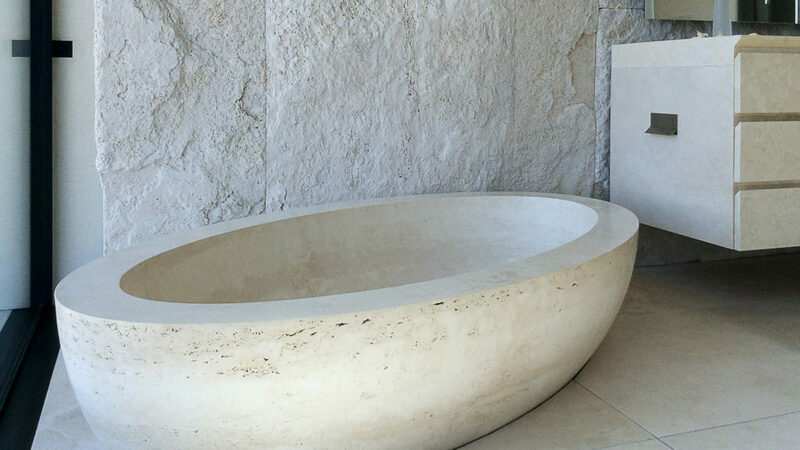 The models we offer are varied to meet all your needs: they are unique pieces made from a block of stone specially selected according to the design. 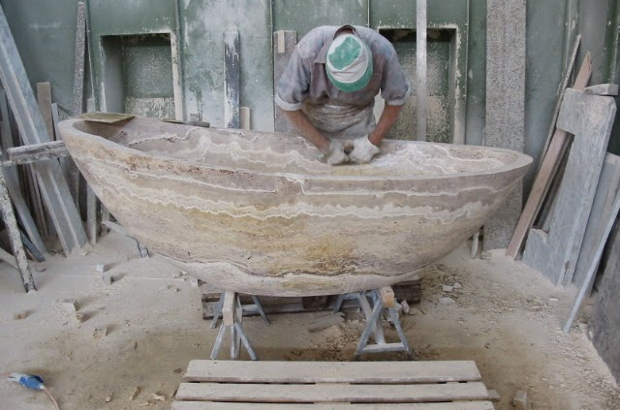 Subsequently it is roughed in the laboratory and then shaped with innovative computerized machinery: the so obtained tub is finished and polished by hand, and then moved onward for watertightness verification. 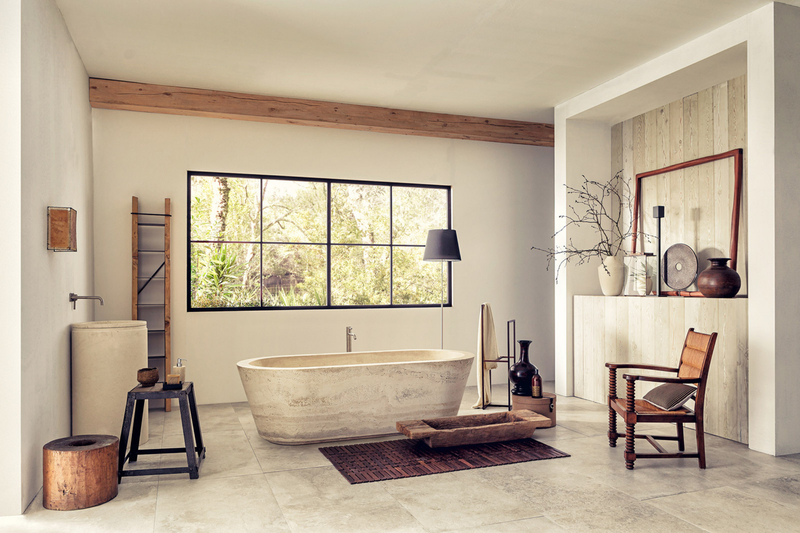 Avant-garde design, lightness and strength come together: we always gift a timeless charm to your bathroom. 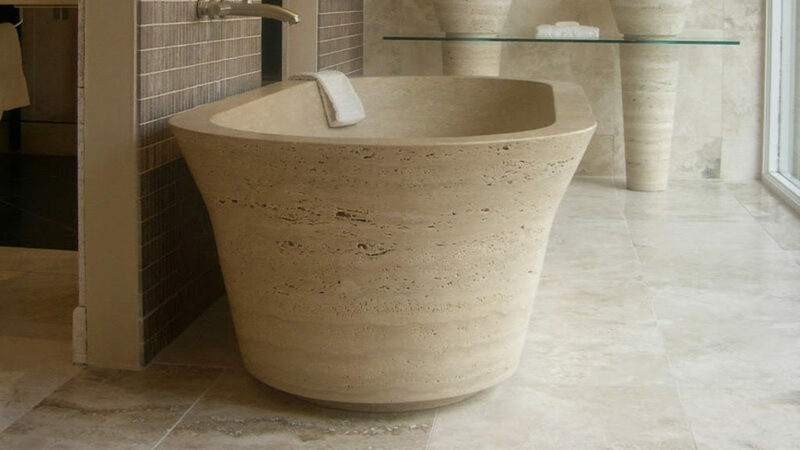 Among the models available in the catalog you can find certain bathtubs measured to a specific essential volume, and others with a sinuous and captivating profile, soft and almost organic, or square shapes, compatible with every style of furniture: shapes, sizes and materials may vary according to your requests, creating unique pieces of exclusive design. 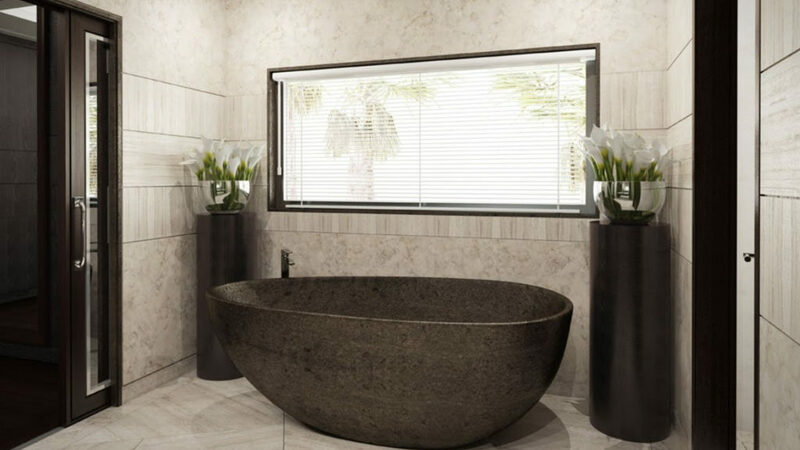 Perfect for modern bathrooms, such as for Spas and wellness areas, they feature different colors, natural shades and a timeless design. 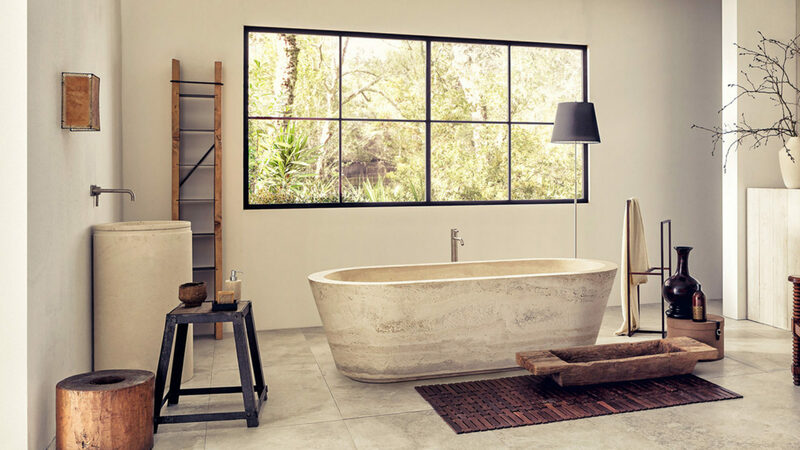 Whatever your idea and your style preferences, with us the bathtub becomes the focal point in the bathroom: a piece that captures the attention and strongly connotes the space; we will always know how to find the one that fits your interior design.